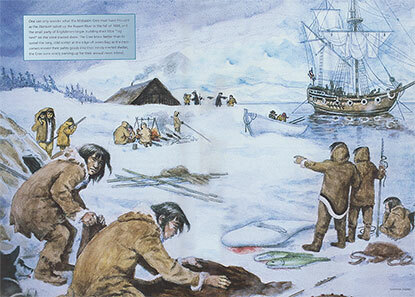 In 1668, a party of Cree encountered the crew of the Nunsuch, sparking the beginnings of the Hudson’s Bay Company, that still remains Canada's oldest surviving corporation. Between 1610 and 1632, five European expeditions seeking a Northwest Passage to the Pacific reached the Hudson and James bays where they recorded one face-to-face encounter with most probably an Inuit individual. Although evidence of human habitation was recorded, is was only in 1611 that Henry Hudson actually traded items with an Aboriginal and communicated by sign language about neighboring Cree trading parties. Hudson’s voyage, nevertheless, ended in failure. After having spent the winter near Point Comfort his crew mutinied and cast Hudson, his son, and seven of his men in a boat near Charlton Island. The rest of the crew returned to England on the Discovery and Hudson’s party is believed to have died on Danby Island (Lytwyn, 2002). Thomas James set sail for the Northwest Passage on the Henrietta Maria in 1631 and wintered on Charlton Island, having sunk the ship to prevent it from being swept away by storms (listen to the story of one legged cook). 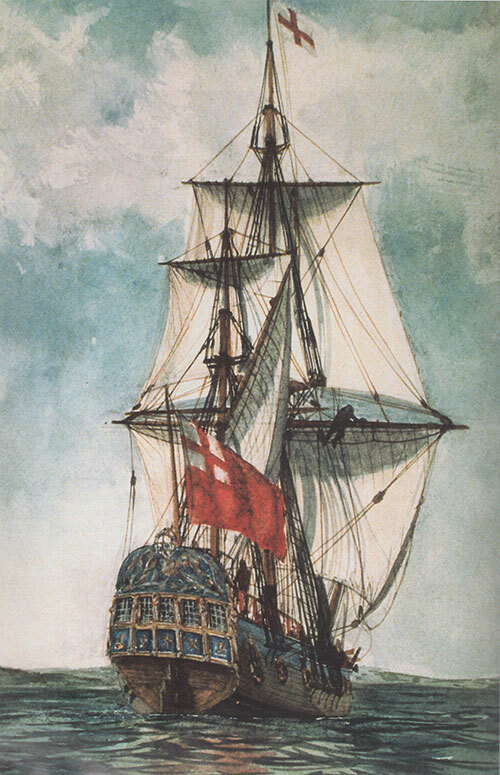 After a long winter which claimed four of his men, James and his crew took two months to fix the ship and set sail northwest across the Hudson Bay. They returned that same year to England having concluded that no Northwest Passage existed south of the 660N (Cooke, 2000). The beginning of European activity in the Cree territory at Waskaganish was in 1668 when a group of colonial promoters launched a “pilot project” designed to see whether major outlays of capital market would be warranted for a commercial colony in the north. With the arrival of English fur-traders on September 26, 1668, written history had undisputedly begun at Waskaganish. Captain Zachariah Gilliam, commanding the sailing ketch, Nonsuch, and guided by coureur du bois, des Groseilliers, represented the financial hopes of London merchants, aristocrats and financiers who were considering the feasibility of seeking a royal charter to form what is today Canada’s oldest surviving corporation, and the world’s oldest surviving commercial corporation, the Hudson’s Bay Company (CHB) (Chism, 1988).
" Three rooms a peace & as many severall floors “three levels”. The cellar held ya beer wee brewd there for our dayly drinking, together with the Beefe Pork and Butter[…] Wee had a large chimney built of bricks which wee carryed along with us, and wee spared not ye wood, that country affording enough to keep alwayes Summer within, while nothing but ice and snow are without doores. - (Rich, 1942:227 quoted in Chism, 1988). " The first European to be buried at Waskaganish was the captain of the second ship, Robert Newland, who arrived at Fort Charles later in the fall, sick and dying. In the spring of 1670, the British contingent returned to England. While the English were absent, the French sent an expedition to “evaluate and counter this new English threat”. It was led by Jesuit priest, Albanel, sent to bind Amerindian hunters to the French fur trade through religious conversion and by suggesting that France could deal with the Iroquois raiders. 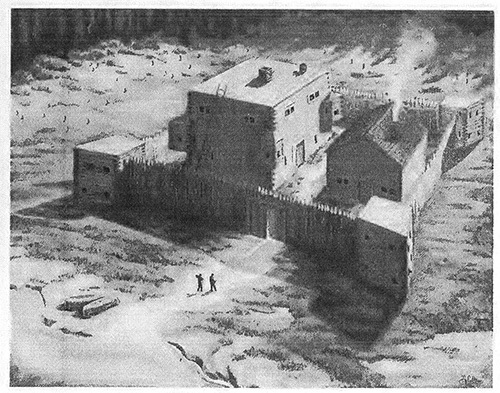 In June of 1672, they arrived at Charles Fort via the Rupert River to observe the English settlement. The English returned in the fall of 1672 and built a fortification ditch and a palisade, possibly in response to the news of a French visit during their absence (Chism, 1988). They spent the trading season at Fort Charles in the company of large Cree (Cuscididahs) and possibly Inuit (identified as Pishhapacanoes, “a near-kin to the Eskeimoes”) encampments. Having left again for England they returned in the fall of 1674, with a new governor, Lydall, and two ships carrying construction material. While HBC continues to expand its posts along the eastern and western James Bay, the French begin to enter the Cree territory first by way of Lac-St-Jean and Mistassini and later in 1684 they build a post at Nemaska. Cooke, A. 2000. James Thomas. Dictionary of Canadian Biography Online. University of Toronto/Université Laval. Lytwyn, V.P. 2002. Muskekowuck Athinuwick: Original People of the Great Swampy Land. Winnipeg: University of Manitoba Press. Pachano, J. 2011. The Cree and Social Impacts of Historic Events in James Bay. Cree Board of Health and Social Services James Bay, Orientation document for employees.